We're now into February and the next government run-out-of-money date is less than two weeks away. Meanwhile, bipartisan congressional groups continue to haggle over the terms of a deal that can satisfy President Trump's demand for a border wall (or significant steel-slatted barrier) on one hand with Speaker Nancy Pelosi's flippant offer of $1.00 in congressional appropriations (or, most recently, a "Normandy fence"). Clearly a "Normandy fence" is a non-starter, unless it's backed up by soldiers in bunkers with machine guns and mortars being lobbed toward the inward surges. Without those lethal instruments — and I don't think Pelosi has those in mind — such a fence wouldn't stop a single alien on foot from crossing the border and that, one suspects, is Pelosi's intent: to not impede these border-crossers. It's not even clear that such impediments by themselves would stop drug or weapons traffickers, north or south — just pass your load from one vehicle over the fence to the accomplice waiting on the other side. The media report that the members of Congress who are negotiating want both the president and Speaker Pelosi to back off and let them arrive at the parameters of a deal (see here and here). But the questions are: What would the conference committee come up with? Can the members of this group be trusted? It's doubtful. Democrats want a tremendous amount and are willing to play sleight of hand with verbiage to get it. Would their "gives" really amount to border security? Also doubtful. And Republicans themselves have repeatedly proven themselves willing to play those semantic word games to give everything away in return for vague assurances of border security that's always just a little beyond the horizon. Undoubtedly one of the games that will be played with vigor is the debate over replacing a real barrier with the notion of a "smart wall", which will, of course, represent the best that technology has to offer. There are several fundamental problems with this scenario. First is that "authorization of appropriations" isn't the same as appropriating real money, so if that's what the group comes up with in a bill — promises of enforcement in return for amnesty, it's a phony deal. That's what the Gang of Eight bill notoriously did. There wasn't any real money for technology or agents. It was a classic J. Wellington Wimpy deal: "I'd gladly pay you Tuesday for a hamburger today." Second is that technology without an established track record often proves to be a rat-hole down which millions or billions of federal dollars are poured into the hands of some gleeful over-promising Beltway bandit contractor, before some watchdog (GAO or OIG) finally calls the agency out for waste and abuse. Third is that technology has a way of becoming obsolete and requiring replacement more quickly than the requisite follow-up maintenance and replacement dollars appear in an agency's budget. The result is what one might expect, and reminiscent of the kind of five-year-plan nonsense of the collapsed Soviet empire: decaying infrastructure and useless equipment that isn't up to the task. 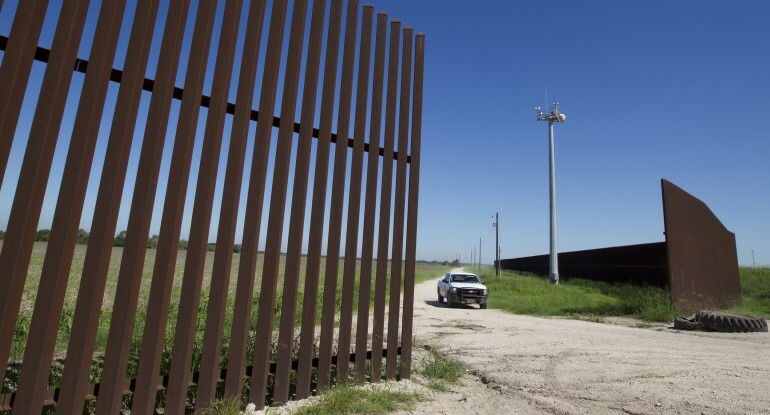 Fourth is that technology has to be accompanied by thousands of additional Border Patrol agents in order to follow up on the information from all of the sensors and tracking towers and other indicators of an illegal crossing. There are already so many sensor and remote camera hits on the southern border that agents can't respond to them all. What good are billions in technology without the agents to make arrests of each and every intrusion (at least until we reach the age of cyborgs or androids to do that instead)? This leads us inevitably to the final point: All the whiz-bang technology belies the fact that technological detection of intrusions only leads to arrests after entry has been effected. And it is there that the law and system already fail us: The immigration courts are reaching a backlog of close to a million cases, and huge percentages of aliens, when released, fail to show up for their hearings. What's more, there aren't enough agents in the interior to catch them all after they abscond, and even if there were, would Congress or a significant portion of the American public accept a vigorous "deportation force" to round them all up, or simply renew calls to abolish ICE? How will "smart wall" technology change any of that ground truth? It doesn't and won't. It just results in a continuation of the absurdist "catch-and-release" game that already exists. Only a physical barrier prevents aliens from entering illegally and then vesting themselves with the many-colored cloak of our weak credible-fear and asylum laws; those are the loopholes that are crushing the system and would remain in place. If Democrats are unwilling to negotiate a trade that involves a "smart wall" in return for real, substantive asylum law changes to close those massive loopholes — and I'm guessing they aren't — it proves pretty conclusively to my mind that the whole thing is a massive shell game. Putting aside interior enforcement requisites such as universal E-verify and expansion of expedited removal to its full potential, then speaking only in the context of our southern border, we need to admit the need for a physical barrier. And if Congress can't or won't come to terms and pony up the money, then it's up to the president. His alternative — declaring a national emergency — got a pretty good boost when the Congressional Research Service issued a recent report suggesting that it may very well be consonant with existing law. As they point out, it would probably lead to lawsuits. What's new? Virtually everything the administration has done to tighten immigration and border controls has been litigated. And because of the repeated pushing of the "national injunction" envelope by progressive district and circuit court judges who are, more often than not, overturned at the Supreme Court, sooner or later the courts are going to find themselves in the same boat as the executive and legislative branches: confronted with survey after survey that suggests the American public has no confidence whatsoever in them. Go for it, Mr. President. Ignore the Democrats, and the congressional Republican naysayers who really aren't your supporters anyway. There is nothing to lose and everything to gain.